When it comes to restoration and cleaning, RestorationMaster is one of the most trusted providers in the nation. With a quick response time, our technicians have years of experience in restoring both commercial and residential properties of all sizes. When a natural disaster occurs, they will first inspect all areas affected and secure the area to ensure that the damage does not spread further. They will then begin the restoration work immediately, working tirelessly until you can return to a safe and healthy environment once again. In regards to our cleaning services, we guarantee your satisfaction. With professional carpet and air duct cleaning, we will first inspect the area and identify spots that need extra attention. For carpet cleaning, our powerful but safe cleaning products and equipment will remove all dirt and debris and leave the carpet looking as it did when it was first manufactured. 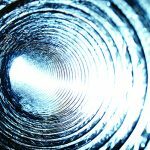 For air duct cleaning, we also use advanced products to remove all dirt from the supply and return air registers as well as the ducts. Finally, you can look forward to saving money on your energy bill and enjoy a better indoor air quality. When it comes to water damage restoration in St. Louis, MO, RestorationMaster treats every job as an emergency. Even for small cases, they have the potential to spread quickly as the source will spread the damage and the porous materials will quickly become ruined when they have absorbed excess water. This is why our technicians are available 24/7 to treat both commercial and residential properties of all sizes for water mitigation and flood extraction in the St. Louis, MO area. 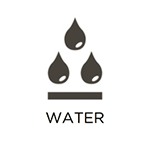 Each of our specialists have been specially trained and are experienced in water damage. They know and understand the effects it can have, which is why they will respond immediately to remove all excess water and start the drying process right away. The use of our high-velocity air movers and dehumidifiers will also enhance the drying as all moisture will be pulled out of the materials and dehumidified. Finally, you can look forward to a successful recovery as your property will be returned to its original condition in a timely manner. Finding a sewer backup on your property is never fun to find. Especially if it has gone unnoticed for an extended period of time, the smell may have spread throughout the entire home or building. But it is extremely important to avoid all contact with the water because of the human waste. Instead, call RestorationMaster for professional sewage cleanup services if the property is located in St. Louis, MO. Our technicians are available 24/7 and will respond immediately to all sewage backup emergencies. Using powerful cleaning equipment and agents, we can have the entire area restored in no time. From extracting the water to eliminating the remaining odors, you can look forward to the peace of mind of having a safe and cleaning property again. RestorationMaster is a highly reputable, licensed, and insured provider of fire and smoke damage restoration services in St. Louis, MO. We understand experiencing a fire related loss can be difficult. This is because we know that the soot and smoke left behind after the flames have been extinguished will spread and cause additional damage if the structure is not treated right away. As they are available 24/7, our technicians will arrive immediately on your property to secure all affected areas and start the restoration and cleaning process. With powerful but safe products, we will completely remove all smoke and soot residue from each building material without causing further damage to the affected surface. 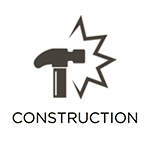 We can also reconstruct your home if any building materials have become unsalvageable. While it will require time for us to restore the damage from your home or building, our experts will work quickly to return your home to its original condition. 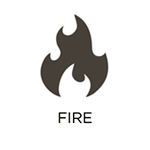 But please be sure to call us right away after the flames have been extinguished to start the recovery process. When it comes to mold remediation in St. Louis, MO, the specialists at RestorationMaster are able to identify all affected areas while removing the mold at its source. Ultimately, this will prevent it from returning in the future. 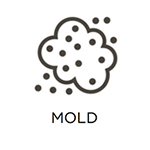 While mold can start small and grow quickly, it must be remediated as soon as possible. In addition, it can also contribute to negative health effects, such as sneezing, coughing, watery eyes, itchy throat, and additional negative health symptoms. But for those living with allergies and respiratory challenges, they are especially at risk. However, when called right away, our technicians are trained and experienced to remove all cases of mold, using personal protection equipment (PPE) and powerful but safe cleaning products. We won’t only remove the source of the problem but treat all affected areas so that there are no spores remaining on the property. Our carpet cleaning technicians are experienced, dependable and professionally trained. Over time, when dirt and debris become embedded within the fibers of the carpet, it can cause it to look worn, faded, and discolored. It can actually contribute to the deterioration process if the dirt is not removed on a regular basis. As one of the most heavily-used furnishings within a home or building, it receives heavy wear and tear over time. It can even affect those living with allergies as the loose dust can easily be kicked into the air and become inhaled. RestorationMaster recommends a professional carpet cleaning at least once a year to remove all embedded debris and dust. Not only will our professional cleaning products, equipment, and technique leave your carpet looking brand new, they will actually extend its lifespan. Call us today to schedule your appointment in St. Louis, MO. In order to maintain the best indoor air quality, it is highly recommended to have your HVAC system cleaned at least every 5 years. As the dust and dirt will not always be caught in the filter, it can accumulate within the ductwork and create many blockages for cold and hot air to flow freely. It can also seep out of the supply and return registers, allow the dust to enter the air. This will affect those who are sensitive to dust, causing them to cough, sneeze, and other allergic reactions. But RestorationMaster is available in the St. Louis, MO area to provide professional air duct cleaning services. We have a detailed and effective procedure in which we will first inspect the ductwork, remove all dirt and debris, and even restore the system if there is any water, fire, or mold damage. Finally, you can expect an improvement in the indoor air quality as well as a lower energy bill with a clean HVAC system. It can be deeply traumatic to experience a significant amount of damage to your property after a disaster. But while the situation can seem overwhelming already, immediate action is crucial in order to prevent as much damage from spreading as possible. RestorationMaster is available 24/7 in the St. Louis, MO area to arrive immediately and start boarding up and repairing the property. Our team of reconstruction staff is then able to handle everything from general contracting to handiwork to complete restoration. With our experience and training, you won’t have to worry about hiring additional contractors as we handle all aspects of the repair process. We will also assign a project manager to oversee the work and keep you updated every step of the way. Finally, we will conduct a final inspection with you after the repairs are complete to ensure your satisfaction of our work, allowing you to return to a clean and safe environment again. 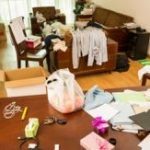 Classified as a mental disorder, hoarding is known as the battle of anxiety to dispose of unwanted belongings within the home. As millions of Americans are affected every day, they will need the help of a loved one to reach out to a cleaning service. 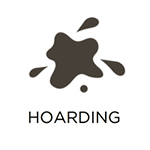 After you have spoken to them about a professional cleaning, don’t hesitate to call RestorationMaster for hoarding cleanup in the St. Louis, MO area. Our technicians are licensed and have years of experience in working with a number of affected individuals. We will put them in charge of the cleaning process, ensuring not to throw away any items without their approval, and disinfect their property. With our services, you can expect that both safe and healthy conditions will be restored within the property. Finding a trauma scene cannot only be overwhelming, but traumatic if it was that of a loved one. While this can certainly be an emotionally scarring experience, it is impervious to call a professional cleanup company right away. 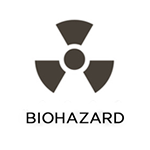 RestorationMaster is available 24/7 in the St. Louis, MO area to provide emergency biohazard and trauma cleanup services. 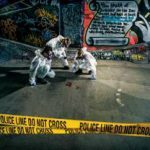 Our technicians work with compassion and respect when disinfecting the scenes, even working with law enforcement and your insurance company to provide as much peace of mind as possible. We understand that this can be a very stressful situation, which is why we ensure to cover all of the cleanup job while you focus on family matters. Dealing with stubborn odors can be a big hassle, constantly trying new ideas but nothing seems to work. When you feel like you have exhausted all options, give RestorationMaster a call for professional deodorization services in the St. Louis, MO area. Our technicians use powerful deodorizers that are designed to eliminate the most stubborn odor particles. We will also remove their source, whether it be water or mold damage, smoke damage, biohazards, etc. Finally, you can have the peace of mind you need of knowing that the foul smell is finally gone and won’t be returning any time in the future. Give us a call for a free estimate!